Police officer, Nabin Payeng, said the landslide swept through a labor camp at a construction site in Tawang. The landslide site in Tawang and Army personnel carrying out rescue operations. Sixteen persons, all construction labourers, were killed when a landslide buried them alive in Tawang in Arunachal Pradesh, in the wee hours of Friday. Two persons on the other hand had a miraculous escape. Tawang, a military town on the China border that is also a major tourist destination and Buddhist pilgrimage centre, is perched at about 3,000 metres above sea level, on the Eastern Himalayas. Officials in the Tawang district administration said the 16 persons were killed when a massive landslide buried the tin-shed house in which they were staying. While the incident occurred at around 3:30 AM when the labourers were in deep sleep, rescue operations began only at around 5 AM. By noon, Army jawans, police personnel and local people had retrieved all the 16 bodies. The labourers, most of whom were from neighbouring Assam, were working at a hotel construction site at Famla, a village about five kms from the Tawang district headquarters. The supervisor of the labourers party, identified as Aditya Rana was also killed in the mishap. The labourers were taken from Assam to Tawang by a private contractor. Tawang additional deputy commissioner Lod Gambo told The Indian Express over the telephone that the landslide was triggered off by incessant rain that continued through Thursday night. “Rescue operations were also affected by the rains that continued during Friday morning,” Gambo said. The bodies of the deceased were being sent back to their respective families after completion of post mortem examination, he added. Meanwhile, the Arunachal Pradesh government has issued a general alert to the people against flash floods and landslides in view of heavy rains that have been lashing the state for the past one week. Rains have cut off roads and damaged houses in several districts of the state. Two hydro-electric projects – Kitpi Phase 1 and Kitpi Phase 2 – in Tawang district have also suffered major damage due to heavy rainfall in the past few days. 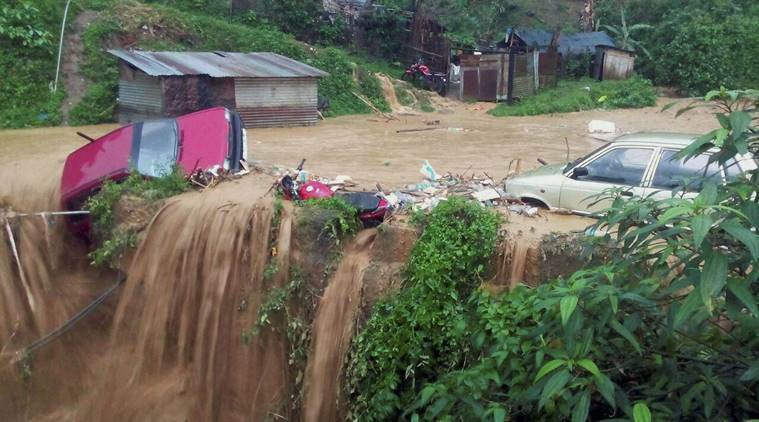 Rains have also caused landslides, water-logging and damage to drains in Itanagar, the state capital, with the authorities on Thursday sealing a hotel owned by a politician. The hotel was allegedly constructed by blocking the flow of a stream in the heart of Itanagar, reports said. 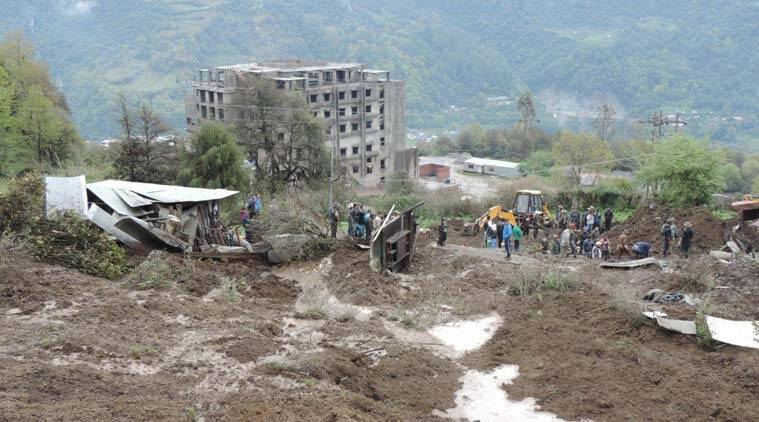 Arunachal governor JP Rajkhowa on Friday announced an ex-gratia payment of Rs one lakh to the next of kin of each of the 16 persons killed in the Tawang landslide. He also announced an ex-gratia of Rs one lakh to the family of Dipak Deori (15) of Namsai district in eastern Arunachal Pradesh, who lost his life due to drowning in flash floods caused by the Noa-Dihing river earlier this week. The Noa-dihing has also wreaked havoc in Changlang district where it eroded the embankment and inundated several villages in Diyun circle, official reports said.